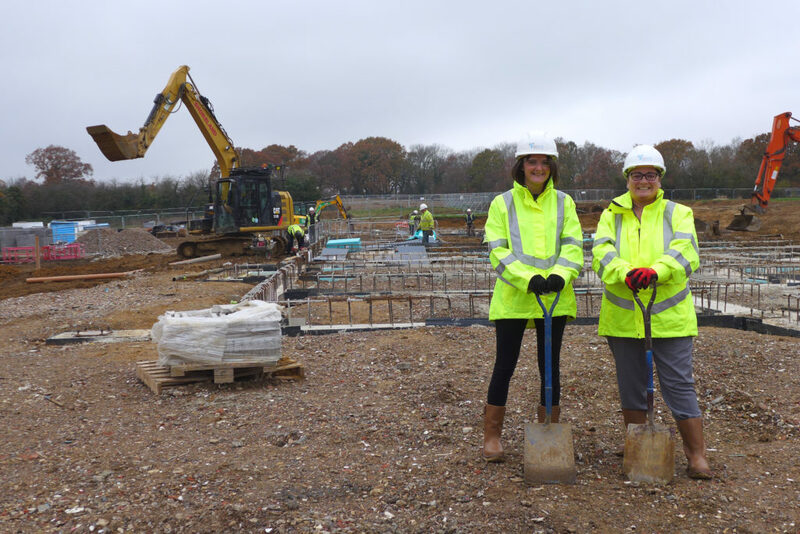 Designed and implemented by Hampshire County Council’s Property Services, construction of the new £6.47m primary school is underway, with the foundations laid and work continuing at pace towards building the framework. The free school will meet the demand for new school places, generated by families moving in to the new homes being built at Boorley Park. Once built, the school will form part of the Wildern Academy Trust. Speaking on behalf of the Trust, Wildern Academy School’s Executive Headteacher, Marie Lou Litton, said: “We are excited by the prospect of opening a brand new, school which has been designed to provide and educational environment that will meet the needs of children moving in to the area. 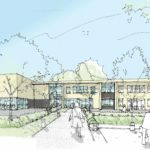 We have worked closely at each stage with the design team at Hampshire and the contractors Interserve to produce what we believe will be a wonderful school. The new school is being built by Interserve Construction and has been funded principally with financial contributions from the surrounding Boorley Park housing development, together with a grant from the Education and Skills Funding Agency. The two-form entry school will have the capacity to offer 60 places in reception year, for children starting school. This will mean that when the school is full from Year R to Year 6 (age 10/11), Boorley Park will be educating a total of 420 pupils. In addition to 14 classrooms, the new school will include: main hall and adjacent music drama studio; group working rooms; specialist practical space for food technology, accessible toilets, offices and a school kitchen. External facilities comprise a grassed playing field, hard play court, as well as a nature and wildlife area for outdoor learning. Construction of the new school started in August 2018 with a planned completion in Summer 2019, ready for the new academic year, which begins in September 2019.